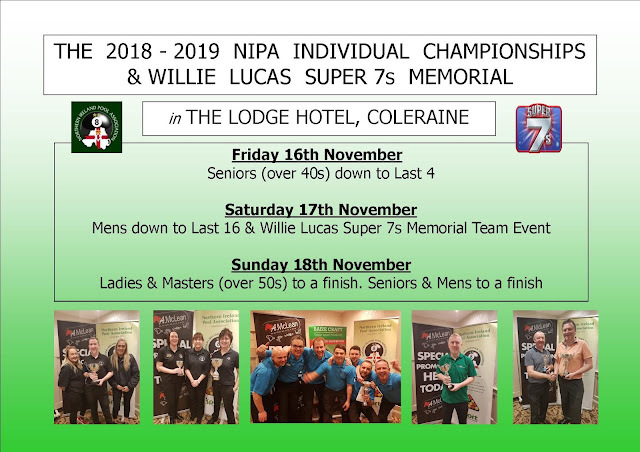 CLICK HERE to view the final list of entries for the BET McLEAN Northern Ireland Mens Individual Blackball Championship which takes place in the Lodge Hotel, Coleraine on Saturday 17th & 18th November 2018. A fantastic field and very open too. Can Ballymena's Pat McAnally defend his title, will Tommy Morrow win it for a second time, what about big performances from Gary Clarke, Brian Crilly or Marc Hutchinson. 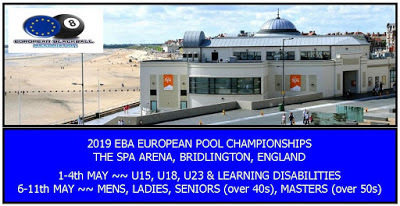 Can Declan Brennan scoop the title in his debut year or can an outsider upset the bookies like Gordon Boomer very nearly did last year. 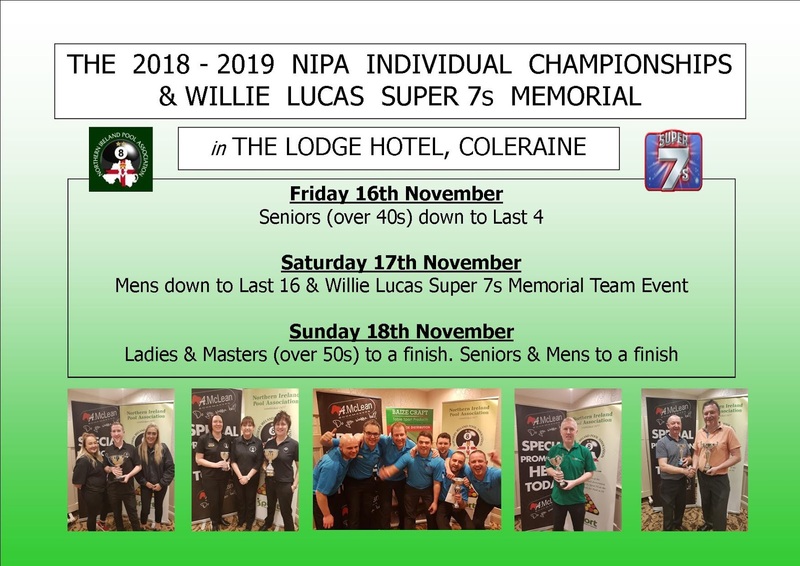 It's all to play for on 21 Supreme tables in the Lodge Hotel.